A major greenhouse gas, Carbon dioxide (CO2) is being transferred from the lithosphere to the atmosphere for more than two centuries due to human activity. It is of paramount importance to convert CO2 to useful chemicals or fuels due to its immediate application and life cycle benefits. This will help in reducing the current greenhouse gasses and prevents any additional emissions in future. We need a solution that able to generate benefits by mitigating the global warming problem. One possible but the challenging conversion of CO2 is Methanol; its demand is continuously increasing in the chemical and energy industries. Today, much effort is being put on the development of technologies for Methanol production from carbon dioxide (CO2). Methanol itself is not a sustainable fuel; however, it can be a sustainable fuel if it is produced from biomass resources. Bio-methanol/green methanol is methanol produced from biomass or the biodegradable element of waste. It is thus CO2 neutral, as the CO2 discharged from the fuel cell does not have a negative impact on the climate balance. Additionally, methanol is an excellent energy carrier and is much easier to storage than hydrogen and much cleaner than fossil fuels. It is used in major quantities around the world as a mass-produced commodity. Methanol used in fuel cells is highly efficient and in many cases, it makes twice as good use of energy as a combustion engine. Danish company SerEnergy designs and manufactures fully integrated modules of power for the car market, says its methanol fuel cells have an efficiency of +45% as compared to the combustion engine efficiency of 25-30%. With the opening of Europe's first methanol filling station by SerEnergy, this is the beginning of a revolution of the car market. Now, Ajay Paul from India, an undergraduate degree in Electronics at Mahatma Gandhi University, aims to provide a solution for the global warming issue. 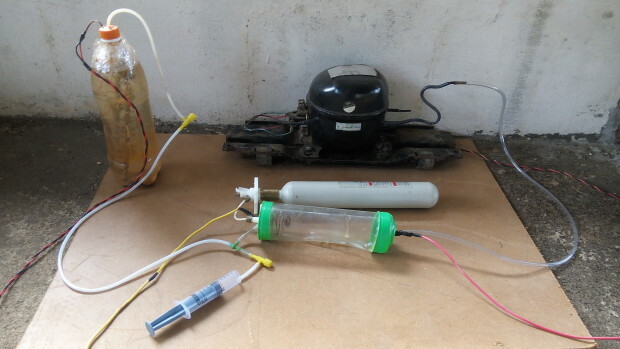 He has developed a product called ‘Cynox’ that converts atmospheric CO2 directly into a fuel-Methanol in our home or in small-scale industries! He says using methanol in electric cars, it can run 5 to 8 times longer on each fill up along with improving the environment as it completely burns. The project is so attractive that the SerEnergy has invited him, to visit their company in Denmark to discuss the project. He also got an invitation to participate in the International Methanol Conference that will be held in Greater Copenhagen Area, Denmark on 8-10 May 2017. The event will present and discuss current and anticipated innovations within the entire value chain-producing methanol, a potentially clean and green synthetic fuel for the future. The Conference will also guide the participants in thematic sessions the entire way from climate issues, policy, access to raw materials (H2, CO, CO2), catalysis, conversion, gas cleaning, supply chain and infrastructure, methanol end-users and liquid fuels in general. He wants your support to move the project to the next level, a laboratory prototype. The crowdfunding campaign is currently live at Indiegogo. He also interacted with Prof. Soren in Aalborg University, Denmark for the project. 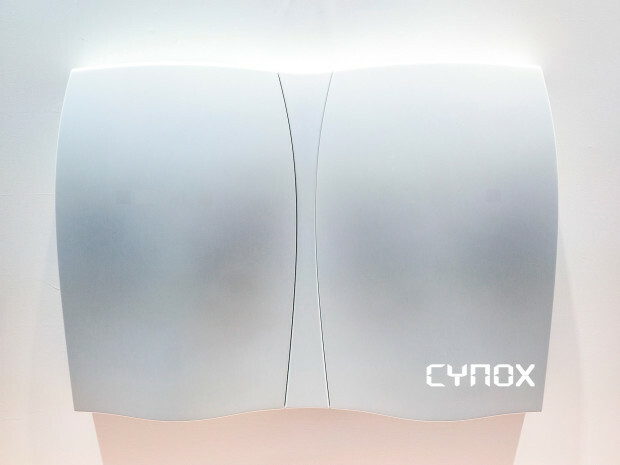 The project Cynox if successfully implemented, each home in a municipality could able to produce the energy domestically. It will strengthen the Indian economy by reducing the import of cooking gas and other fossil fuels as well as the reduction in CO2.